If you can design it, I can fabricate it! Metal Fabrication of everything from Balustrades, formal entrance metal staircases to gates and railings around your company or business all finished to the highest level. 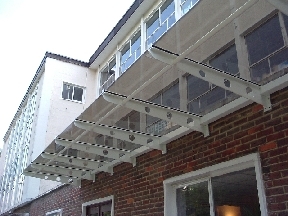 I manufacture Balustrades to your design to make your property exclusive and smart. Aluminium, Iron, Stainless steel are all catered for. 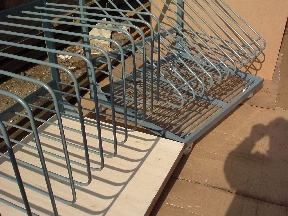 I welcome enquiries from all people both home and professional who need quality built metal work. Having been in business for many years, serving the building trade, architects and homeowners with their metal requirements in and around Hertfordshire and the Northern Home counties, the experience that can be brought to your jobs is imense. With over 45 years of engineering experience in the group, skills are refined to such that we can take on virtually anything from batch work to fire escapes, structural steel, balustrading, gates, Juliet balconies. These are just a few things we regularly manufacture. Call today for a fast and efficient service. All of the orders are custom and bespoke to your requirements regardless of whether you need gates, railings, Balustrades or beams.